Everyone is waiting on blizzard to announce HotS season 3 end and the season rewards along with it. 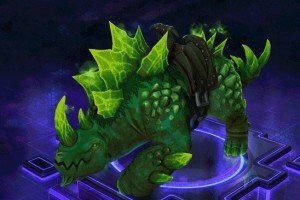 Hero League Players will receive season rewards at the HotS Season 3 end. So its important to know the exact date you need the rank your trying to earn. Currently HotS Season 3 is expected to last at least 2-3 months. Blizzard has decided this will give players enough time to rank up and earn season 3 rewards. After which the ladder will reset and players will climb again and earn the next season rewards. If we want to figure out when HotS season 1 ends we need to know when it started. Since 2-3 months is the duration, we jump ahead 2-3 months to find the date. In MarchHotS Season 3 will end. Traditionally Season Rewards are given to players at the end of the Season. The types of Rewards you receive will be Based on your Rank in Heroes of the Storm. Each portrait will be unique to there respective tier, as well as the League. Players can unlock both a Hero League Portrait and a Team League Portrait. This Icon will be Visible to other players, displaying your level of skill based on the Ranking you have achieved.